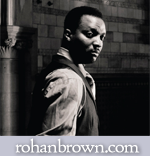 Leon Rose is known throughout the world as the Europe’s premiere Salsa Instructor/performer/choreographer. Volume 3 aims to show you new and different routines. All taught with a strong emphasis on improved technique for both the leader and the follower, so everyone benefits.